Best Foods That Are Rich In Fiber. Fiber is an important nutrient but often ignored. In fact, most of us when talking about nutrition, we seem to focus only on vitamins, minerals, while fiber is never thought of. In fact, fiber is a nutrient that is needed by the body to always be healthy. This is why we want to provide information about fibers, so we know that fiber is no less important than other nutritious foods. In this article we try to write some kind of fiber rich foods. This is the simplest food you can get easily. After reading this, you can search and explore many fiber-rich foods. High-fiber foods are important foods that can not be separated from human life. This food is generally derived from plants and is divided into two parts namely soluble fiber and insoluble fiber. Soluble fiber is a type of fiber that can delay stomach emptying, it causes you to always feel full all day long. While insoluble fiber is the type of fiber that allows you to defecate. So, both types of fiber is important to us. Well, why fiber becomes an essential nutrient, so you should put it in the list of your diet foods. What are the benefits of fiber for health? Fiber is the most important nutrients but often forgotten even many people do not know how many fibers enter the body. The main benefits of fiber is to bind fat and cholesterol and remove it from the body. In addition, fiber also prevents constipation so you smoothly defecate. Keep in mind, fiber-rich foods were also rich in other nutrients such as vitamins and low in calories. This is a very unusual thing for human health. In addition, the benefits of fiber for health is to prevent diabetes, reduce the risk of colorectal cancer and breast cancer. So, fiber is the breath of life that will keep the body system healthy. Is that fiber as important? Right, then we want to give you a list of the best foods that are rich in fiber and can be found easily. 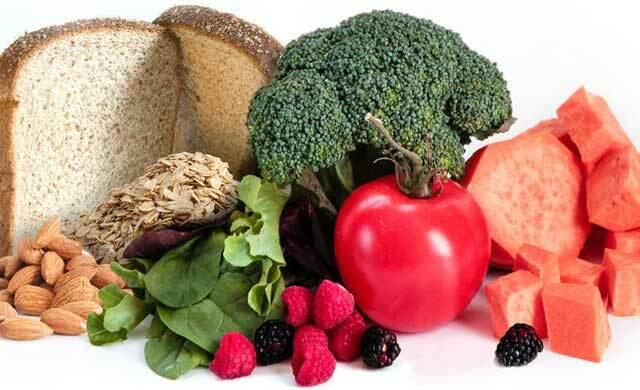 Are You Already Consuming Sufficient Fiber? Many people do not know the amount of fiber consumed and whether they are consuming fiber properly or not. Here are some signs that can explain to you that you have not consumed enough fiber. Have constipation so you rarely have a bowel movement. You may have less than three bowel movements per week, stools are hard or dry. Gain weight gain. Also, you do not feel full after eating. Experiencing fluctuations in blood sugar. If you have diabetes, you are very difficult to control sugar levels. Well, if you experience any of the above, this indicates you are consuming less fiber. All you have to do is consult a nutritionist. Research says that the average adult consumes 15 grams of fiber per day. The amount is very small compared to the recommended amount. Men should consume 38 grams of fiber and 25 grams of women. If you are one of them, immediately make changes to your diet. From now, look and look for fiber-rich foods. That’s why we want to share the best list of fiber-rich foods. Get fiber-rich foods and include them in your daily diet list. So, what are high fiber foods? Here we see one by one. All these fibrous foods are easy to reach. Chia seeds are foods that are rich in fiber. In 28 grams contains 10.6 grams of fiber. The benefit of chia seeds is to improve digestive health by improving bowel movement. This fibrous food is also good for speeding up satiety. 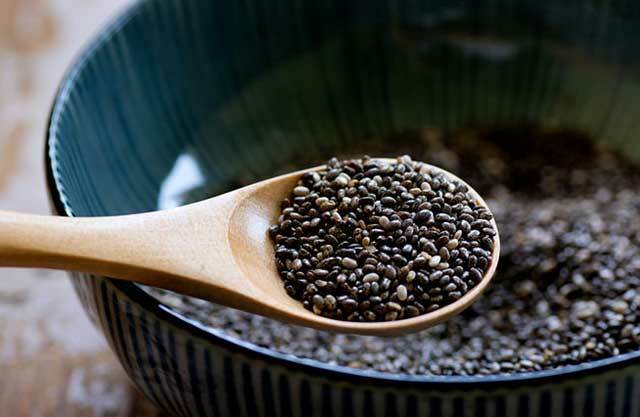 The best way to consume chia seed is by soaking it into water, soaking 40 grams of chia seeds in a liter of water. Let stand for approximately 30 minutes and then eat. Flaxseeds are also included in fiber-rich beans. In 168 grams the dish contains 46 grams of fiber. Interestingly, Flaxseeds not only contain fiber but also contain omega 3 fatty acids. Benefits of omega 3 is to prevent dangerous diseases such as depression and arthritis. In addition, flaxseed is also good for heart health. Do not forget to include Flaxseeds in your daily diet. You can put it in the morning cereal or smoothies. Also, you can add Flaxseeds in pancake batter. Furthermore, the best foods that are rich in fiber are almonds. Almonds are a very good type of beans consumed. Almonds contain 11.6 fibers in size 95 grams. This crispy food is not only rich in fiber, but also contains a lot of magnesium, vitamin E. Both are very useful to prevent heart disease and reduce insulin resistance. So, do not ignore the almonds, put them in your daily diet. You can consume it as a snack in the afternoon, in addition you can also cut it as a salad mixture. Dry coconut is also loaded with fiber that is very good for health. Another nutrient is copper that is known to be good for the brain. In 28 grams of dry coconut contains 4.6 gram fiber. Also, a dry coconut is source for potassium that good for lowering high blood pressure. You can give a dry coconut to a salad or pudding. Furthermore, fiber-rich foods are coconut flour. 28 grams of coconut flour contains 10.5 grams of fiber. 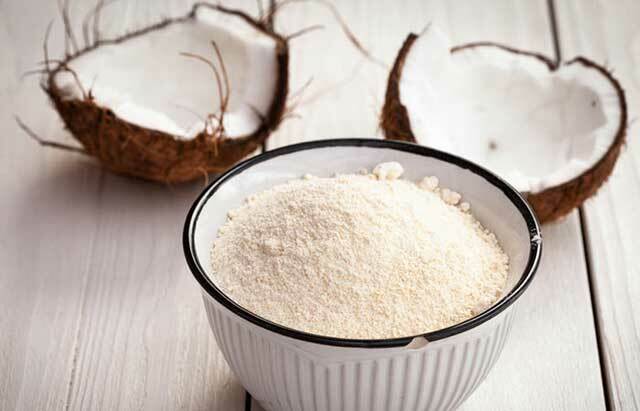 This coconut flour is derived from coconut that has been removed oil. The high fiber is great for health, it also contains a low glycemic index that helps stabilize blood sugar and helps weight loss. The way to consume coconut flour is used as a fried or fish coating. If you are using ordinary flour, substitute it with a coconut high fiber flour. Pumpkin seed is one of the foods of grain with high fiber content. In 138 grams contains 5.4 grams of fiber. However, pumpkin seeds are not only rich in fiber but also contain other nutrients such as magnesium, zinc which are both good for bone development. The health benefits of pumpkin seeds can also increase sexual desire, improve mood, and improve sleep quality. Another benefit of pumpkin seed is to maintain heart health by lowering blood pressure. Consuming pumpkin seeds can by entering into the smoothies or oatmeal. If you want, you can also put this seed into a salad or soup dish. Sunflower seeds also include grains that are loaded with fiber and suitable for consumption as a source of fiber for the body. In 46 grams of sunflower seeds contain 4 grams of fiber. 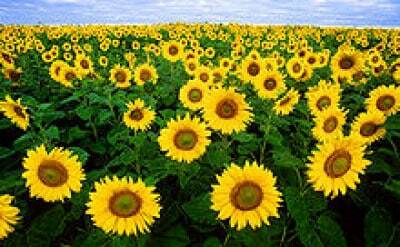 In addition to fiber content, sunflower seeds also contain vitamin E and selenium. The benefit of selenium is to reduce the risk of type 2 diabetes, the most common disease in this century. To get the health benefits of sunflower seeds, you simply sprinkle the seeds on salad, cheese, yogurt and soup. Quinoa is one of the best foods that are rich in fiber. This seed contains more fiber when compared with other seeds. In 170 grams of quinoa, it contains 11.9 grams of fiber. The benefits of quinoa is to lower blood sugar and bad cholesterol. In addition, it is also important as a food to lose weight. Because the benefits are high for health, then do not forget you put the quinoa seeds in your daily diet. You can put quinoa seeds in smoothies and enjoy them. Protein content in quinoa seeds keeps you full for a long time. It is a kind of nuts with a simple taste but rich in fiber. In addition, pistachios nuts are rich in lutein, a high antioxidant that plays a role in maintaining eye sight. In 123 grams of pistachio nuts contain 12.7 grams of fiber. One way to consume these nuts is to sprinkle on top of the fries potatoes. That’s some of the recommended types of nuts to meet your daily fiber intake. In addition to nuts, there are also healthy fruits that are rich source of fiber. Here we see one by one. 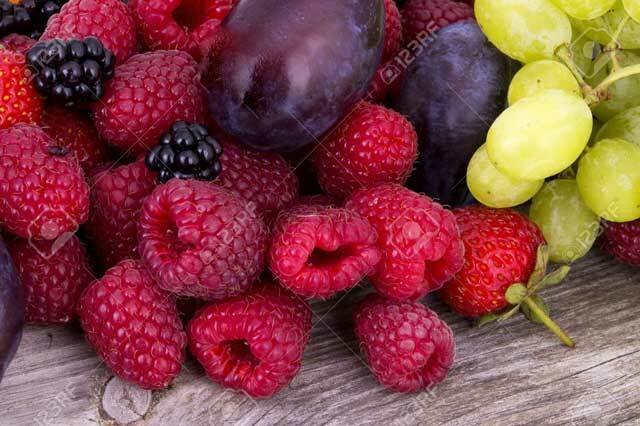 Raspberries also include fiber-rich foods even known as fiber warehouses. However, this fruit is also rich in vitamin C is beneficial to strengthen the immune system. Another benefit of vitamin C is to reduce muscle pain and prevent oxidative stress. The fiber content in 123 grams of raspberries reaches 8 grams of fiber. You can easily consume this fruit by mixing it in your yogurt or oatmeal. If you want to enjoy smoothies in different ways, you can add some raspberries into the smoothies. Who does not know the avocado. The fruit that are rich in healthy fats is also a source of fiber that must be calculated. In 150 grams of avocado is available 10.1 fiber that are good for health. This amount has reached 40% of the daily amount needed by the body. In addition to fiber and unsaturated fats, avocados are also rich in vitamin B6, vitamin K, potassium, and folate. Consuming avocados also beneficial for lowering the metabolic syndrome. Consume avocado can be in the form of juice or add to the salad or sand-witch. If you regularly consume avocados then your need to fiber will be guaranteed. Kiwi fruit is rich with a variety of essential nutrients for the body. In addition to rich in fiber, kiwi is also rich in folate, zinc, magnesium, potassium, antioxidants and vitamin C. Kiwi fruit is Low-fat and carbohydrate-free fruit. This is the best reason to lose weight. While the fiber content is 5.3 grams in every 117 grams of kiwi fruit. Incorporating a kiwi in the diet can be by cutting it in a salad, or by making delicious kiwi jam. Kiwi jam is made with a combination of lemon juice, kiwi, pineapple and apple. Add sugar if desired. 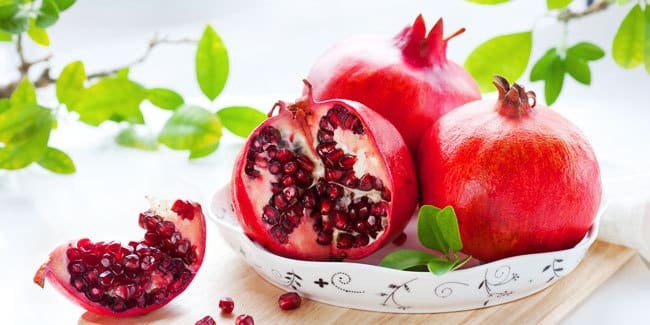 Sprinkle the pomegranate seeds into your yogurt in the morning. Also, can add it to your favorite smoothies. Dates are the fruit that thrives in areas that have winter and summer. This fruit is rich enough for health benefits, high fiber content is good to consumed by pregnant women to prevent constipation. In 24 grams dates already contain 1.6 grams of fiber. In addition, dates are also rich in potassium which is useful for maintaining blood pressure stability. A diet rich in dates is good for improving memory especially for growth-age children. Figs also provide lots of fiber, in 149 grams of figs already contain 14.6 grams of fiber and this meets 58% of daily fiber. 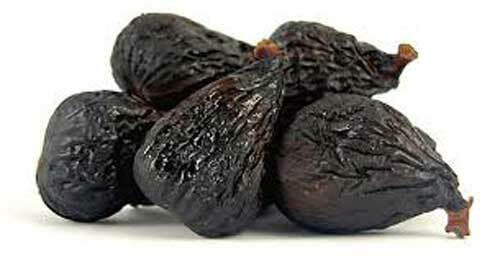 Figs, especially dry figs are rich in fiber. In addition, it also contains potassium, magnesium, and vitamin K.
This dark and sparkling fruit is a fiber shed. In 44 grams contains 7.6 grams of fiber which is sufficient 31% daily fiber. Not only the fibers are found in blackberries but also vitamin K. Vitamin K is beneficial for maintaining heart health and cancer risk. You can enjoy it with add into the shake and salad. If you want, can also be added on the top of pancakes. Cherries are an amazing source of potassium and antioxidants and have anti-carcinogenics. While the fiber content is 2.5 grams in 155 grams of cherries. Nutrition within is the reason why you should consume this fruit regularly. Adding cherries to the smoothies is the easiest way to enjoy them. This fruit can also be made as sauce. The way is by add 2 cups frozen, 1/2 lemon juice, 1/2 teaspoon cinnamon, maple syrup 3 tablespoons. Put it all into the pan, insert 1/4 cup water and heat it to boiling. Next, the best foods that are rich in fiber is pear. 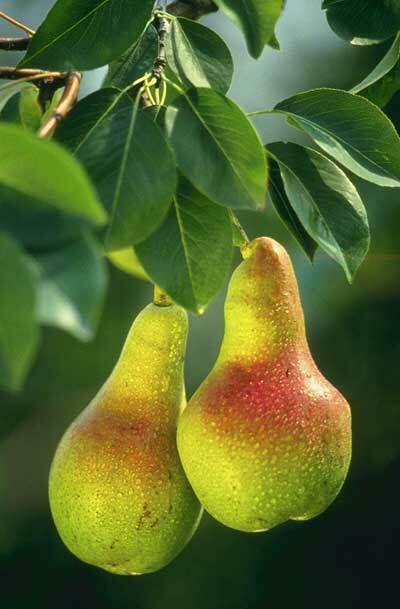 Pears contain more fiber than apples. The difference is up to 30%, but you should consume pear along with its skin. The health benefits of pears include repair digestion, and lower cholesterol. In 148 grams of pear it contains 4.6 fibers which has fulfilled daily requirement of up to 18%. Eat one pear per lunch. Also, slice the pear and enjoy it together with a salad or shake. Orange is rich in soluble fiber that is useful to neutralize blood sugar levels and lower bad cholesterol. Orange also contains insoluble fiber which is good for digestive health in facilitating bowel movement. Other nutrients found in citrus are potassium, folic acid, niacin, calcium, and magnesium. These nutrients make the benefits of citrus for health is amazing. Eating oranges can make as juice, but it is can remove most of the insoluble fiber. The best way to consume oranges is by eating directly so they can get soluble or insoluble fiber. Let’s take a look at the list of categorized grains classified as fiber-rich foods. Wheat bran is a food full of fiber. In 5 grams alone it contains 24.8 grams of fiber. Extraordinary! It already meets 99% of daily fiber requirement. So, put wheat bran in your daily diet. Stir the wheat bran into the pancake or oatmeal dough you are cooking. Can also be added to your favorite shake. Popcorn is a fiber meal that many people love. The fiber content is 1.2 grams in 8 grams of Popcorn serving. The amount already meets 5% of daily requirement. This is a healthy foods that can reduce your waistline. You can buy it at the supermarket, but note the ingredients for your food to stay healthy. You can taste these foods when you’re bored, at work or while completing work tasks. Artichokes are known for their high fiber but these vegetables are also rich in other nutrients such as vitamin C, vitamin K and folate. This vegetable is also believed to be good as a natural therapeutic ingredient. So, the benefits of Artichokes is wonderful at all. 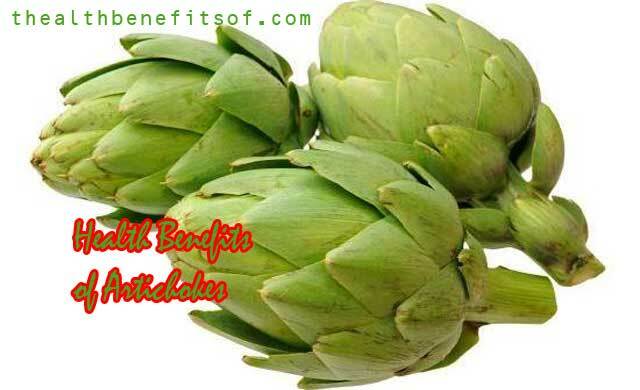 The fiber content is 6.9 grams for a serving of 128 grams of Artichokes. This amount has completed the daily requirement of fiber up to 28%. You can cook Artichokes and add them in grain salad and grilled cheese. Furthermore, the foods that are rich in fiber are sweet potatoes. Actually, this is a food loaded with carbohydrates, but it contains a number of fiber that is good for health. To get plenty of fiber, eat it together with all the skin. Because most of the fibers are on the skin. In 133 grams of sweet potatoes contains about 4 grams of fiber, so this is enough 16% of daily needs. Read more: Health benefits sweet potatoes. Who does not know this root. Beets are often used as ingredients for juices that are useful for detoxifying toxins. This tuber contains many soluble and insoluble fibers. Both types of fiber is very important for the health of gestation such as constipation and diverticulosis. Per 136 grams serving contain 3.8 grams of fiber. You can consume it directly after peeling the skin. Or cut it to add in salads, mix with apples and strawberries. Broccoli is a foods that are rich in fiber. It is a green vegetable with a myriad of essential nutrients. One of theme is folic acid that good for pregnant women. 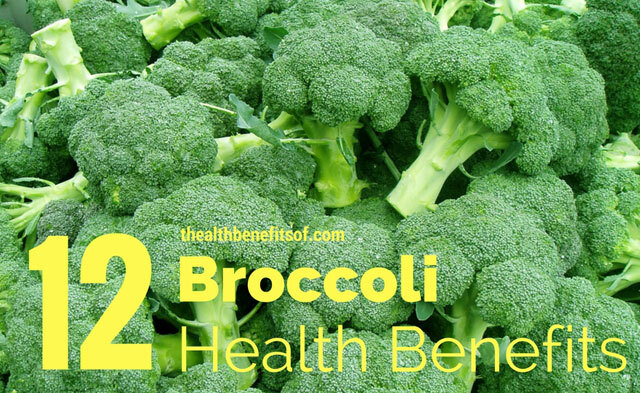 In addition, broccoli is also rich in fiber that is also important for health. In a 91 gram serving contains 2.4 grams of fiber. This amount is sufficient 9% daily requirement of fiber. Eating broccoli directly or after steaming it is very good to get all nutrients. In addition, you can also cut it as part of the salad. Sprouts are vegetables that load with fiber, also contain lots of vitamin K and vitamin C. The amount of fiber in 88 grams of sprouts is about 3.3 grams. To get a better taste, you can bake Brussels Sprouts, can also slice it and smear it with oil and salt, then bake at a temperature of 200 degrees. Bake until tender and enjoy. The next is the tomato, but Sun-dried tomatoes. This tomato is more delicious than the ordinary tomatoes. Sun-dried tomatoes are widely available in supermarkets, its contain more fiber than other tomatoes. In the 54 gram serving contains 6.6 fibers that have met up to 27% daily fiber. In addition to fiber, tomatoes also contain many antioxidants and lycopene that is used to ward off free radicals. Eat tomatoes by cutting them together with salad or by inserting into scrambled fried eggs. Carrots belong to fiber-rich foods. Other nutrients there in also very diverse such as sulfur, chlorine. Both are useful for cleaning toxins and waste in the body. One of the health benefits of carrots is to maintain eye health because many of vitamin A. In 128 grams of carrots contain 3.6 grams of fiber. This amount meets about 14% of the daily value required. Another benefit of carrots is tooth cleaning and healthy for the gums. Eating carrots directly will be better for health. You can also make a salad by steaming some carrots. Okra is a delicious vegetable with high fiber content and include one of best foods that are rich in fiber. Other interesting things are low in calories and fat and high in vitamin A, vitamin C and potassium. One of the benefits of okra is to overcome fatigue, increase the immune system, prevent cancer cells. In 100 grams of okra contains 3.2 grams of fiber. This amount is sufficient 13% daily requirement of fiber. Consume okra can be done by slicing and inserting into the soup. Steamed okra is also good in add to the salad. In addition, sauteing okra also be a good way to consume this vegetable. Those are some types of foods that are rich in fiber. Hopefully this review is useful as it concerns with the digestive health of our body. These fiber-loaded foods are easy to get, either in traditional markets or supermarkets. Please find and get the benefits.